We do ask our customers to allow for 7 - 12 business days for delivery. 99% of all orders will be delivered in that amount of time or sooner. If there is an order that will take longer than the allotted time to deliver, a customer service representative will contact you to make you aware of the situation. All international orders shipping outside of the United States must be paid with a bank wire transfer, ACH transfer, or money order. There will be no returns on any international orders. Shipments can only be delivered to a continental United States address. Customer must arrange for freight forwarding to any delivery location outside of the continental United States. A valid phone number where you can be reached during business hours must be provided for all shipments. A failure to do so may result in delayed or failed shipments, as well as redelivery and/or storage fees. All shipments are F.O.B. shipping point. All packages must be opened and inspected for damages incurred during shipment, before signing any bill of lading or accepting any UPS packages. All damage claims should be made with the carrier at that time. Sorry, but AirMovers.com is not responsible for any damages incurred during shipment. We do ask our customers to allow for 7 - 12 business days for delivery. 99% of all orders will be delivered in that amount of time or sooner. If there is an order that will take longer than the allotted time to deliver, a customer service representative will contact you to make you aware of the situation. All international orders shipping outside of the United States must be paid with a bank wire transfer, ACH transfer, or money order. There will be no returns on any international orders. Shipments can only be delivered to a continental United States address. Customer must arrange for freight forwarding to any delivery location outside of the continental United States. Items must be returned in original packaging, in a new, or unused state. We reserve the right to reject returns on any used or mishandled product. Customer satisfaction is very important to us. All items ordered from AirMovers.com must be thoroughly tested within 30 days for any defects, returns or exchanges. Customers must call ahead to receive an order return number. Postage must be postpaid to the destination of all returned and warrantied items. Initial shipping costs are non-refundable on any returns. Damage caused during shipping should be discussed with the parcel post carrier at the time of delivery. Shipments canceled mid order subject to refund less any shipping cost. All returned shipments will be subject to a 15% - 25% restocking fee, with the exception of any manufacturer's defects. Please check out our Free Gifts page for a full explanation of the rules that allow you to qualify for this program. Free gifts are added to qualifying orders that total over a certain dollar amount in product. Please note that any returns that reduce the remaining order value to less than the qualifying dollar amount will result in a refund that is reduced by the sale price of the free gift item. 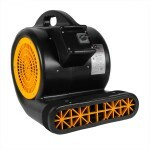 You can shop at www.AirMovers.com online with confidence. We have partnered with Authorize.Net, a leading payment gateway since 1996, to offer safe and secure credit card transactions for our customers. All coupons and other discounts must be applied at the time of sale, whether you are ordering online or by phone. No coupon or discount can be applied after the sale has been completed. All AirMovers.com documents and related graphics published on this website are the express property of AirMovers.com and PTI. No material contained herein is to be copied, duplicated, modified, or redistributed without the express written consent of AirMovers.com. Reproduction or redistribution not in accordance with current copyright laws is expressly prohibited.